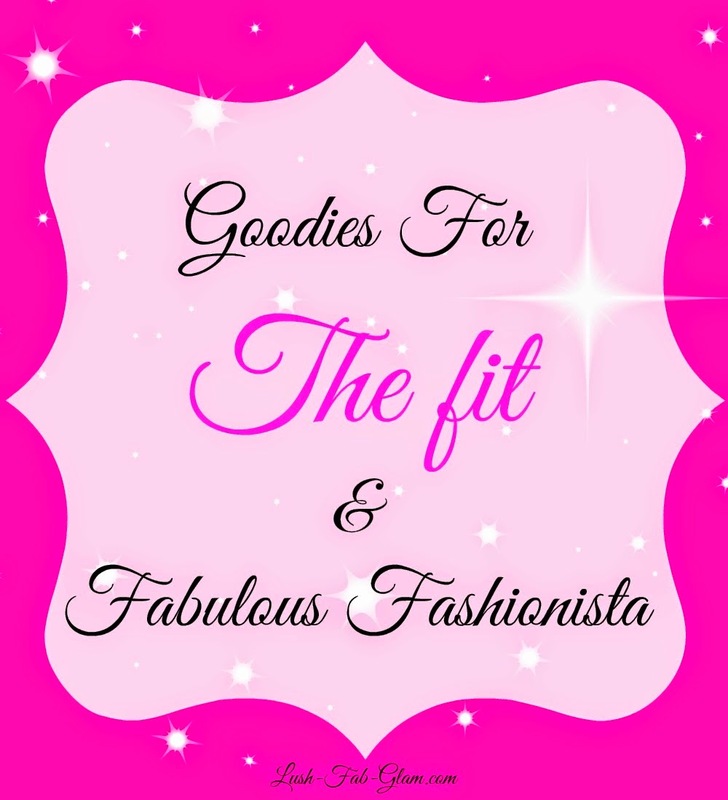 For The Fit Fashionista: 10 Tips To Keep Your Workout Moving + A Fab Giveaway! This post is brought to you by Carefree®. All opinions are mine. Have you taken the Carefree Challenge? We are and with two additional weeks to go there is plenty of time to join in to discover fabulous tips for staying fresh and for the chance to win amazing prizes every day, including the $5000 grand prize so you can shop till you drop! Read on to see the fab tips we're sharing on ways to keep fit and keep your workout moving all while staying carefree and having fun! The spring and summer months provide so many possibilities for fun ways to stay active without the rigid schedule of going to the gym, which many of us never stick too after the first few weeks anyway. Like learning; exercising, keeping fit and toning up are always more enjoyable when it's fun. And aside from the health perks of maintaining an active lifestyle there are many more benefits and rewards to explore. Today we're sharing ten ways to infuse fun into your workout and incorporate exercise into your every day life, while reaping the rewards of quality 'family time', 'me time' and even fun date ideas! 1. Go swimming in the pool, lake or beach. Ever noticed how professional swimmers and surfers have those perfect wash-board abs? The strokes you make while swimming are one of the most effective ways to strengthen and tighten your arms, legs and ab-muscles. What better way to enjoy the summer weather and be bikini-ready all summer long, plus in-between swim sessions you could get some much needed rest and relaxation time as you enjoy the warm weather. 2. Go Shopping: (Yes we meant to write shopping), believe it or not shopping can be good for your health! A recent study discovered that 'the average woman burns around 385 calories - the equivalent of a piece of carrot cake or two large glasses of wine - trudging around stores each week.' That amounts to 'almost 48,000 calories each year by shopping ...They notch up 154 miles a year.' Now we know why we feel so exhausted after shopping it's really a workout! 4. Play Tennis, Ping-Pong or go bowling. These are inexpensive ways to get off the couch and out of the house. Make it romantic by adding a reward for the winner for example a romantic massage or intimate request for later that night...(you get the hint). 5. Go hiking together. We recommend an uphill hike or a long walk exploring nature while enjoying each other's company. When you arrive at your look out point, have a romantic picnic with healthy fruits like grapes, strawberries and assorted nuts, take turns feeding each other to heighten the romantic effect. 6. Have a friendly volleyball match. Try girls vs. guys or couple vs. couple to add a little competitive spirit. 7. Go biking together. One fun way to enjoy the spring bloom or fall colors is going to a scenic location and biking through the local trails. Many places offer bike rentals in case you don't own one. This is a great way to spend a Saturday or Sunday afternoon with friends. Plus it provides a wonderful opportunity for the hobby photographer to snap some amazing photos of the landscape or historic sites if you choose to the bike in the city. 8. Go Dancing. We don't mean take dance classes where you have to follow precise steps what's care free about that? Instead we want you to put on your dancing shoes, call up a few friends and hit up your favorite night club, jazz bar or get tickets to one of the many music festivals being held in the summer. You'll be on your feet, moving to the beat and dancing to the rhythm and even working up a sweat but no gym clothes required. 9. Volunteer to build homes during your summer break with Habitat For Humanity or plant trees to curb deforestation. 10. Help out in your neighborhood, town or city by joining a local committee to clean up and revitalize an under-privileged area, public park or landmark. They will appreciate the effort and time you put in and you will definitely get a full body work out! Fab Giveaway: Win A $100 Gift Card To Shop For New Workout Shoes. Want to learn more about the Carefree® Freshness Challenge sweepstake and enter today's giveaway for the chance to win a $100 Gift Card to shop for workout shoes? Click here for more details and to enter. How do you infuse fun into your workout routine and which 'keep moving' tip will you try? Share with us by leaving a comment below.